The model-based testing system is a sub-project in zstack-woodpecker. 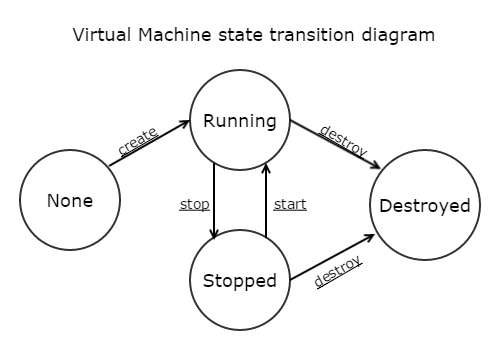 With finite-state machines and action selection strategies, it can generate random API operations that may run forever unless a defect is found, or pre-defined exit conditions are met. ZStack relies on model-based testing to test corner cases that hardly happen in real world, which compensates integration testing and system testing in terms of test coverage. Test coverage is an important indicator that judges the quality of a testing system. Regular testing methodologies such as unit testing, integration testing, and system testing all of which are designed by human logical thinking are very hard to cover corner cases of the software. This problem becomes more obvious in IaaS software that manage different sub-systems that can lead to complex scenarios. ZStack solves this problem by introducing model-based testing that can generate scenarios consisting of random API combinations that will continuously run until meeting pre-defined exit conditions or finding a defect. As machine driven testing, the model-based testing can overcome weaknesses of human logical thinking to conduct tests that are seemly human illogical but API correct, helping discover corner cases that are hard to notice by human leading testing. This operating sequence is apparently illogical, we believe no tester will write an integration testing case or system testing case doing so. This is where machine thinking shines because it doesn't have human feelings and will do things human feels unreasonable. After finding this bug, we generate a regression test to guard the issue for the future. The model-based testing system, as driven by the machine, is also called robot testing. When the system runs, it moves from one model(also called stage in following sections) to another by executing actions(also called operations) selected by action selection strategies. After every model is finished, checkers will validate the testing result and test exit conditions; the system will quit if any failure is discovered or the exit conditions are met. Otherwise, it moves to next model and repeats. Test states definition and Test state transition matrix. By this way, the model-based testing system can keep running from one stage to another until meeting some pre-defined exit conditions or finding some defect, it can continuously run several days and call APIs tens of thousands times. When moving amid stages, the model-based testing system needs to decide what the next operation to perform; the decision maker is called action selection strategy that is a pluggable engine that various selection algorithms can be implemented with different intentions. Random scheduler is the simplest strategy that randomly picks up the next operation from candidates for the current stage. As a straightforward algorithm, the random scheduler may repeat one operation while keep other operations starving; to relieve the issue, we enhance each operation with a weight, so testers can give higher weights to operations they want to test more. Fair scheduler is the strategy that every candidate operation is treated equally, compensating random scheduler in the way that every operation has fair chance to be executed, guaranteeing all operations will be tested as long as the testing period is long enough. Path coverage scheduler is the strategy that decides the next operation by historical data; this strategy will memorize operation paths that have been tested, and try to choose the next operation that can form a new operation path; for example, given candidate operations A, B, C, D, if previous operation is B and paths BA, BB, BC all have been tested, the strategy will choose D as the next operation so path BD can be tested. New Action Selector need to implement own select() function. Base on the priority action list, just randomly pickup action. more times in priority_actions list. Before starting the model-based testing system, exit conditions must be set otherwise the system will keep running until a defect is found, or the log files explode hard drive of the testing machine. Exit conditions can be any forms, for example, stopping after running 24 hours, stopping when the system has 100 EIPs created, stopping when there are 2 stopped and 8 running VMs; it's all up to testers to define conditions that can augment the chance of finding defects as big as possible. Debugging a failure found by model-based testing is hard and frustrating; most failures are uncovered by very large operation sequences that are usually illogical and with huge lines of logs. We used to reproduce failures manually; after painfully, manually invoking APIs using zstack-cli 200 times following a ~500,000 lines log, we finally realized this miserable job is humanly impossible. Then we invented a tool that can reproduce a failure by replaying the action log that records test information purely about APIs. In this article, we introduced model-based testing system. As being good at uncovering issues of corner cases, the model-based testing system works with integration testing system and system testing system as the foundation of defending ZStack's quality, allowing us to deliver a product with proud confidence.